These four distinguished panelists had a lively conversation about the essay/review. Some of them read from academic-style papers with “finger quotes” while others spoke more serendipitously—but the exchange was still rich and informed by their scholarship and experiences as editors and/or writers of book reviews. Mary Rockcastle defined the essay/review as part book review, part literary essay—well accepted, but hardly every taught. The essay/review, she claimed, should be strong, original, and artfully written, clearly communicating to the reader whether they should spend their time and/or money on the book or not. But, she said, the essay/review should also serve as a springboard for reflection on the personal life of the reviewer—it strives for objectivity, but is continually subjective. The essay/review sets itself apart from other reviews because of the strong personal presence felt behind them, and how they take the reader deep inside a journey of thought. The essay/review is an art form in and of itself, Rockcastle argued, and functions as a way to prompt further conversation about books from people who want to learn how to read differently. 3) with the material that the book or books address. Bartkevicius also addressed the negative review, and put it into conversation with positive reviews, observing that the traditional “thumbs up” or “thumbs down” approach to reviewing books does not leave enough space to put the reviewer into proper context—it is just concerned about whether or not the reader should buy the book. Rather than struggle with the issues of too little space and the expectation and pressure to be a critic, Bartkevicius argued that we should not be ignorant of history (the concerns about the shortcomings of traditional book reviews are not new) and should rescue the essay/review. Ingle identified the book briefs as the most demanding to write, but not to edit. In comparing the book brief and the multi-title essay/reviews, he noted that the essay/reviews the reviewer has to write about four or five books at a time, but he wasn’t sure about the process for the writers. He just knew that he gave them choices, and in a few months, he’d get an essay/review back. Ingle noted that essay/reviews put the reviewer in conversation with both the reader and the writer. He identified the best essay/review as putting the books in conversation with one another—but recognized that this is impossible, but getting close would be nice. From an editor’s perspective, Ingle stated that he always makes sure that the essay/review “works” before they go to press. Ideally the overarching concepts should seem natural and organic rather than forced, and this, more often than not, is a result of the reviewer’s personal experience. When he reads essay/reviews, the aesthetic he is looking for is an essay/review that is equally a review as it is an essay. If it’s too much of a review—it’s just that. A book review. If it is more a personal essay—than why is it in the review section? They’re called the Georgia Review for a reason. Ingle also spoke at length about an experiment he wanted to complete that reminded me of an Oulipo challenge—where instead of giving his essay/reviewers a choice between twenty or so possible books to review, he would give the reviewer five—and only those five—books, and trust that the reviewer would find a way to make the essays interconnected. It wouldn’t necessarily need to be the “right” five books, but something in the zeitgeist that ties them all together—only the reviewer can make that connection transparent. Stan Sanvel Rubin used his sense of humor to relay his understanding of essay/reviews from his previous experience as an essay/reviewer. He noted that many traditional book reviews are searching for one-liners—like the famous, “The trouble with the book is the covers are too far apart.” That’s not our job, Rubin said, and he dove into the process of writing the essay/review. Like an essayist—first establish context with an opening question to clarify and reveal meaning. The reviewer may have intuited what he or she wants to write about, but they may not be sure yet. Once the first draft is written, the reviewer can play with structure and balance in revision. This is where some of the deeper discovery occurs. The reviewer creates common context by thoroughly reading individual volumes. Then reviews what he or she has read, with value added. The essay/reviewer has the space for freedom and play. They have a voice, but no confession. Above all, they must have a strong sense of their audience, deadline, and clarity—which usually means heavy editing to get it just right. Balance matters—the essay/review must add up to something thoughtful and appreciative to the audience. The Q&A was brief, but covered a few important topics, such as what to do when a review so comprehensively summarizes a book that it functions as a Cliffsnotes version of the book(s) (it’s up to you), which literary magazines publish the best essay/reviews (all of the literary magazines represented on the panel), how scholarly/academic reviews differ from essay/reviews (tone and word choice). Leslie Salas is an Associate Course Director in the English Department at Full Sail University. She also serves as Assistant Editor for The Florida Review, Assistant Graphic Narrative Editor for Sweet: A Literary Confection, and as a nonfiction reader for Sundress Publications’ Best of the Net. Leslie writes in multiple modes—prose, screenplay, & comics—and frequently contributes to The Gloria Sirens, The Drunken Odyssey, and Leslie Learns Lines. Her work has been published in The Southeast Review, Sphere, and others. Fascinating discussion. I tend to be fond of essay/reviews when they are carried off well. The insertion of the personal makes it feel less like I’m being sold something and more like I’m being told a story. I don’t know how to carry it off well in my own writing, but I’m interested in experimenting more and trying it out. This reminds me how Roger Ebert reviewed movies. Thanks for these great panel reviews! Excellent overview of the ways in which book reviews contribute to and participate in the art of Creative Nonfiction, by our own Leslie Salas and including work by our own Jocelyn Bartkevicius. 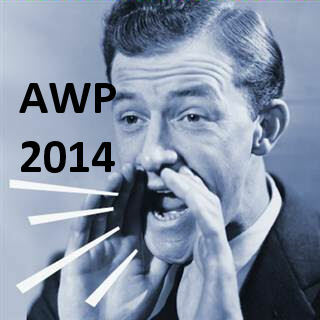 You are currently reading AWP 2014: When Book Reviews Also Tell Stories at BREVITY's Nonfiction Blog.